What: The Oracle Responsys connection lets you push lists for triggered emails, configure segmentation or profile properties to send to Responsys as custom variables, and import Responsys data about your users into BlueConic. Exchange of data for import and export is supported both in real time and in batch. Why: Interact with your email recipients with relevancy on-site, and in their inbox! By taking Oracle Responsys data into BlueConic, you can individualize their experience on-site or in-app. By using BlueConic's unique behavioral data collection engine, you can enable a highly relevant email program for triggered emails and drip campaigns. In BlueConic each profile is used throughout that BlueConic instance. However in Oracle Responsys list members are separate for each lists. This means that one person can be on several lists within Oracle Responsys, but that person is not the same entity throughout Oracle Responsys. This also means that Oracle Responsys cannot be searched for one person directly, as persons are stored within lists. 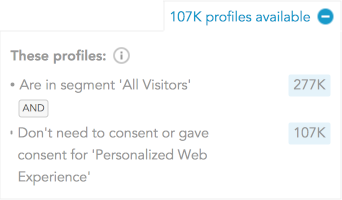 Profile information in BlueConic is always stored directly on the per-person profile. Synchronizing BlueConic profiles with Oracle Responsys list members via scheduled batch import and export is non-symmetrical. There is no clear mapping between most BlueConic properties and Oracle Responsys member fields. Instead Oracle Responsys specific information is taken and added to BlueConic to enrich the profiles. Likewise, the user can specify BlueConic properties that should enrich record fields within Oracle Responsys. Oracle Responsys uses a specific property RIID as member id per list. Whenever a match is found between a BlueConic profile and an Oracle Responsys record, the RIID is stored in BlueConic and it will be used for future lookups. In the side bar on the left are a number of tabs, including a setup section and import and export goals. Goals can be activated or deactivated with the checkbox in front of the name. Multiple goals can be added by using the [Add goal] button at the bottom of the page and you can delete or copy goals by hovering over them and selecting the "x" respectively copy icon. Click on a goal to open its tab and see the configuration options for that goal. You can customize the name of the goal at the top of the goal configurations. Set this to the name that appears in the browser address bar when you open the Oracle Responsys login page. For example, if you log in to "interact2.responsys.net", pick "interact2". Establish authorization by saving the connection. For more details, see Scheduling Connections. This is where you configure what Oracle Responsys data should be imported into BlueConic. An import goal defines how to enrich BlueConic profile with data imported from Oracle Responsys. Add multiple import goals by clicking the [Add goal] button. Follow the numbered steps to set up an import goal. Only known profiles that are part of the configured segment will be imported. So, if a record exists in Oracle Responsys but there is no corresponding profile in the BlueConic segment, that record will not be imported. 1. Select batch and / or real time import. This is where you determine when data will be imported. The options are "batch" and "real time". "Batch" allows for the periodic import of records according to the schedule you set in Set up and run. This can lead to high data usage and a long run time. "Real time" imports data once per visit (a session that expires after 30 minutes of inactivity). 2. Select a segment for the import. Select the BlueConic segment that profiles need to be in in order to have their data enriched with data from Oracle Responsys. 3. Select Oracle Responsys lists to import from. Select one or more lists from Oracle Responsys to import profile data from. 4. Link identifiers between Oracle Responsys and BlueConic. 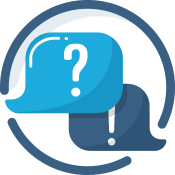 Determine how BlueConic will match Oracle Responsys records to BlueConic profiles. By default these will be linked by the Oracle Responsys RIID. However, for BlueConic profiles without a RIID value, a maximum of two other profile properties can be defined to find matching records. You can have the "Customer id", "Email address" or "Mobile number" of the Oracle Responsys record matched to the appropriate BlueConic profile property. Oracle Responsys records that do not match any BlueConic profile will be excluded from the import. 5. Map Oracle Responsys data to BlueConic. Here you determine how information from Oracle Responsys will be mapped to BlueConic profile properties. Add mapping rules by clicking [Add mapping]. Select the Oracle Responsys field and the BlueConic profile property it should map to, and select how the value should be imported: "Set" to always set the value, "Set if empty" to only set the value if the profile didn't have a value yet, "Add" to add another value to the list or "Sum" to add a numerical value to the value in the profile and store the sum value. Delete any mapping rule by clicking the "x" icon that appears on the right when you hover over the rule. Here you configure how data from BlueConic will be exported into Oracle Responsys. You can enrich the data of existing records in Oracle Responsys with data from BlueConic, or add visitors to lists. Add goals by clicking the [Add goal] button. Then, activate the checkbox, click "Export data into Oracle Responsys" and follow the configuration steps below. 1. Select batch and / or real-time export. This is where you determine when data will be exported. The options are "batch" and "real time". "Batch" allows for a periodical export of records per the schedule you set in Set up and run. "Real time" will import data when the value of a linked identifier profile properties (defined in step 4) changes in BlueConic. 2. Select a BlueConic segment to export profile data from. Select the BlueConic segment that profiles need to be in in order to have their data exported to Oracle Responsys. 3. Select Oracle Responsys lists to export to. Here you select one or more Oracle Responsys lists to export BlueConic information to. 4. Link identifiers between BlueConic and Oracle Responsys. Determine how BlueConic will match BlueConic profiles to Oracle Responsys records by selecting a maximum of two matching criteria. You can only select a BlueConic profile property that has been designated as a "unique identifier" and select the Oracle Responsys field it should match. The profile property can be matched to "Customer id", "Email address", "Email md5 hash", "Email sha256 hash", "Mobile number" or "RIID" of the Oracle Responsys record. If no matching Oracle Responsys record can be found for a BlueConic profile, no data will be exported. That is, unless the "Allow BlueConic to create new records in Oracle Responsys" option is checked - in which case a new records will be created and added to all lists. Profiles without a value for the selected profile property will be omitted in the export. 5. Map BlueConic data to Oracle Responsys. This is where you map the actual information from BlueConic to Oracle Responsys. By adding mapping rules you determine which profile property, identifier or associated segment information goes into which Oracle Responsys field. Click Add mapping to add a new mapping rule for a property, or click Add multiple mappings to add rules for a number of properties. Each mapping rule consists of a BlueConic profile property, profile identifier, segment selection, all viewed interactions, permission level, or text value on the left hand side, and the Oracle Responsys field it should map to on the right hand side. Click the BlueConic selector icon to switch between profile identifier,associated segments, profile property, all viewed interactions, permission level, or text value. Associated segments can be narrowed down by clicking the segment name; here you can choose between all associated segments of a profile, or only a selection of segments. You can also replace the names of the selected segment with the value you want stored in Oracle Responsys. Leave the field empty to use the BlueConic name of the segment. 6. Optionally allow the creation of new Oracle Responsys records. Activate the "Allow ..." checkbox to allow BlueConic to create new records in Oracle Responsys when none can be found. If you do not activate this checkbox, nothing will happen when BlueConic cannot find a match for a profile. The "Remove ..." checkbox will not only synchronize additions to the list based on the segment (of step 1), but also removals. If the checkbox is active and BlueConic detects members of the Oracle Responsys list that are not part of the selected segment in step 1, BlueConic will remove these records from the list. Effectively BlueConic will keep membership of the segment selected in step 1 and the list in sync.